The trailer of Anurag Kashyap’s much-anticipated film Mukkabaaz has released and it lives up to its hype. Set in Uttar Pradesh, the film revolves around a lower-caste aspiring boxer, Shravan, who trains at a gym which is owned by an upper-caste don played by Jimmy Shergill. Shravan falls for Mishra’s niece Sunaina, but Mishra, who is a Brahmin, does not approve of the match. 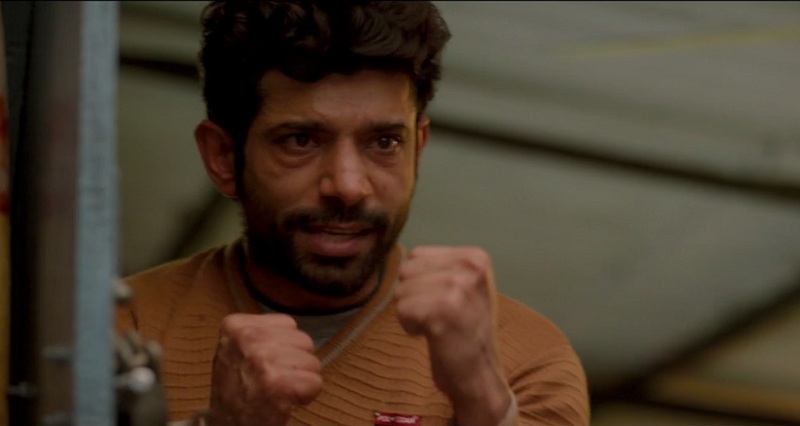 Shravan must rise above the deadly caste politics and become a successful boxer while avoiding Mishra’s wrath. Dekho साला aa गया #Mukkabaaz! The trailer packs a punch and is outlined with moments of heightened drama. With earnest performers like Singh, Ravi Kishan and of course, Shergill, it is safe to say that there is very little that could go wrong in the film; however, the story must act as a proper foil for these actors to shine. Because it set in Uttar Pradesh, the dialect and diction that everyone and Shergill in particular seem to have mastered, make the scenes memorable. The movie stars Vineet Kumar Singh as Shravan, Zoya Hussain as Sunaina, Kishan as Sanjay Kumar and Shergill as Bhagwan Das Mishra. The film is slated to release on 12 December and is going head-to-head with Saif Ali Khan’s upcoming dark comedy, Kaalakaandi. The trailer of the film has been exclusively released on Eros Now.